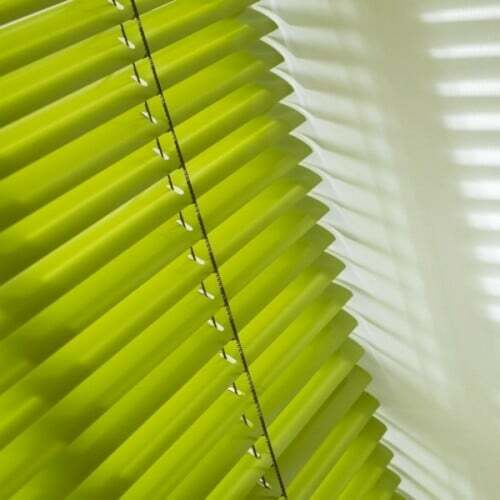 Radiant Blinds supplies and installs a full range of Aluminium Venetian Blinds to homes, offices, schools and commercial buildings. 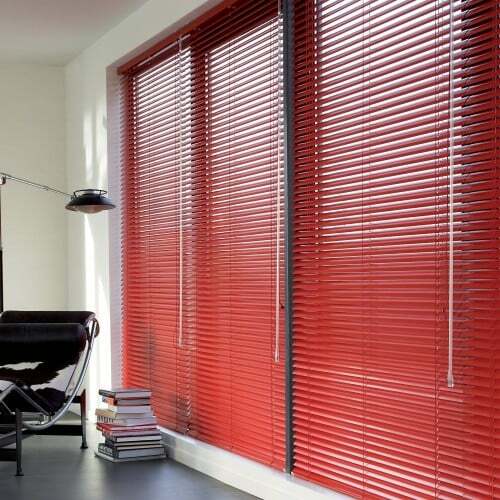 Radiant Blinds supplies Aluminium Venetian Blinds in different slat sizes. First of all we have 16mm often know as the micro blind. Also, we supply 25mm slats which tend to be the standard size often installed due to their neat appearance. In addition, there are 35mm slats and finally 50mm slats. 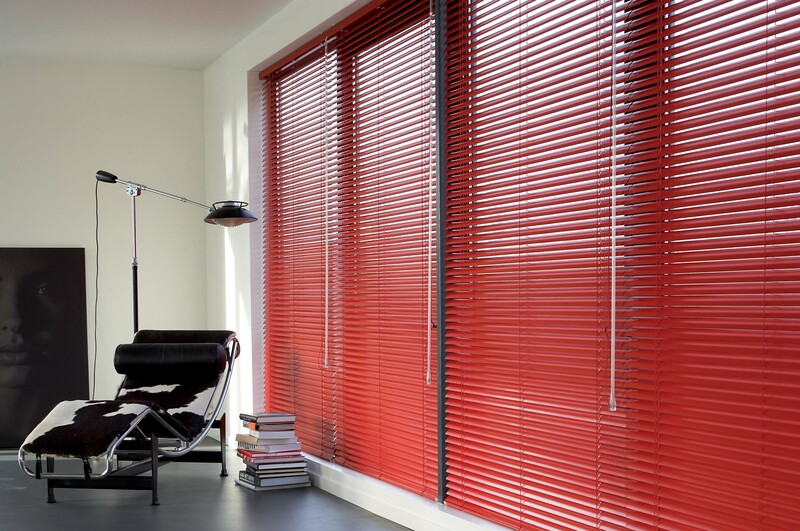 The larger slats have gathered quite a following over the last few years especially by interior designers. As a result they often specify this size for residential properties since they replicate that industrial look. Due to this this they are often requested by clients for large open plan living areas. 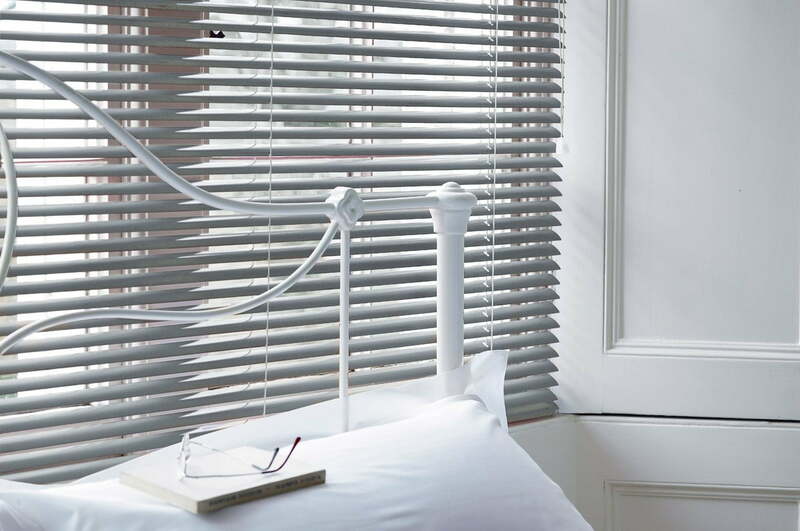 How do I operate an Aluminium Venetian Blind? 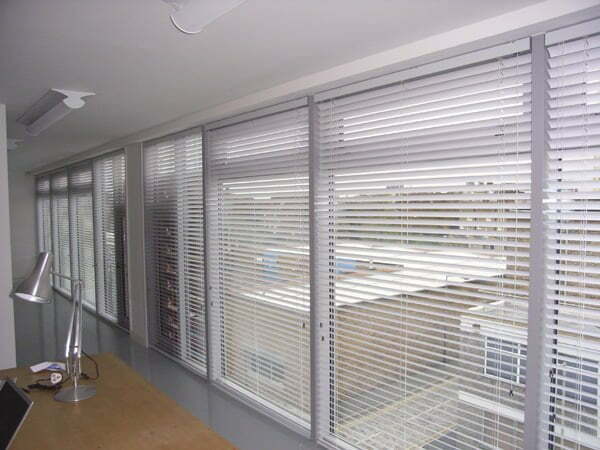 We have regularly installed Aluminium Venetian Blinds to homes and offices for many years. Since there is a wide selection of colours available, they are popular with customers. Also they are a great choice for any window as they allow excellent options for shading. For example, you can tilt the slats upwards or downwards depending on the amount of light you want to enter the room just by twisting the wand control. 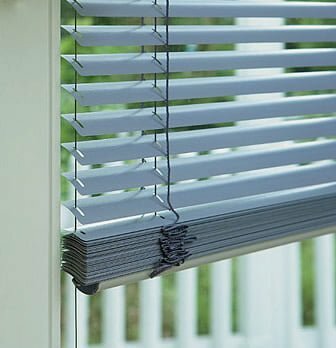 Furthermore, you can raise the slats upwards with a simple cord to reveal the entire window. There are literally hundreds of colours to choose from, consequently this makes them a popular choice. In addition we supply perforated slats so you can see out of the window even when the blind is lowered. Another advantage of them being aluminium is that they are very light. Therefore they can be made to very wide widths hence ideal for oversized windows. Can I have Battery Operated Blinds? 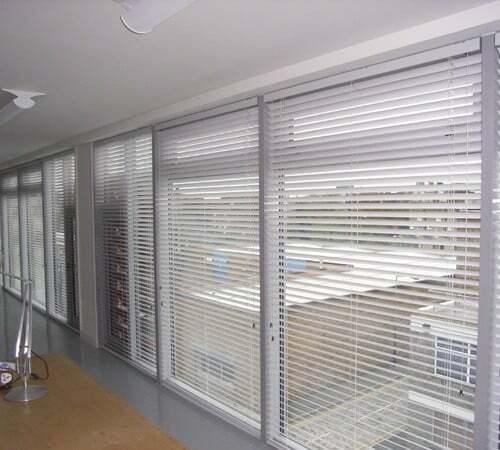 Radiant Blinds also supplies Aluminium Venetian Blinds in a battery operated format. However these will only operate the tilt mechanism and will not raise or lower the blind. Nevertheless this is still very handy if you want to cut out the sunlight from the comfort of your armchair while you watching Wimbledon or the Test Match at Lords. Like any cord operated blind, Child Safety is paramount. As a result we always fit the relevant Child Safety Devices. 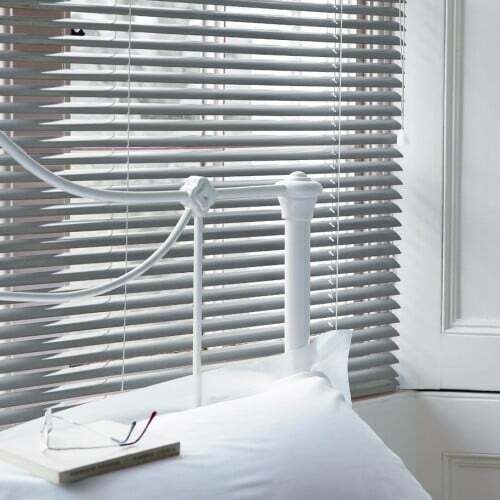 Take a look at our picture gallery above to see some of our work, and to give you a good idea of what the Aluminium Venetian Blinds look like when they are installed in different locations. 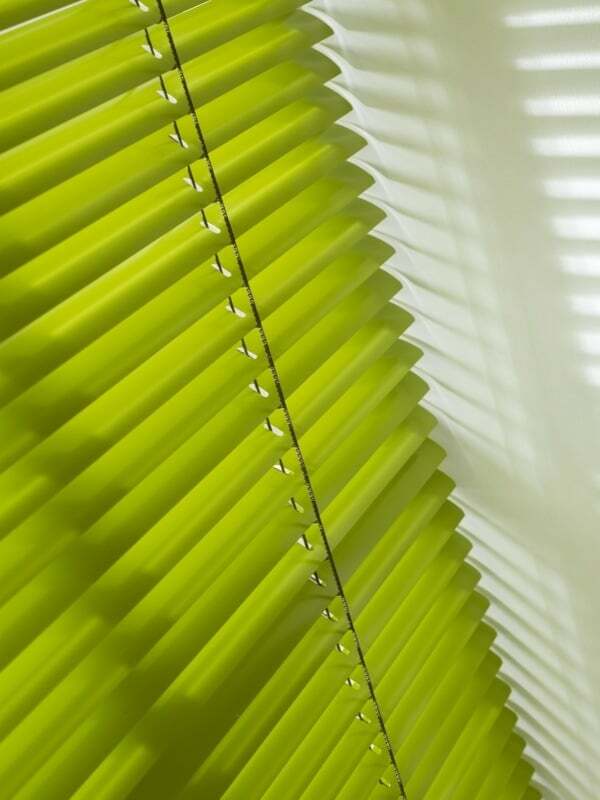 Get in touch for chat about how we can help your business stand out using our Aluminium Venetian Blinds.